Want to change the language on your Bonjoros? We have just released our language settings for every account! We want to make sure Bonjoro is available to anyone, regardless of language and translation. Log into Bonjoro.com and click on preferences. Then go to Your Account. You will see Language listed directly below your timezone. Set your language and hit the Update button at the bottom. 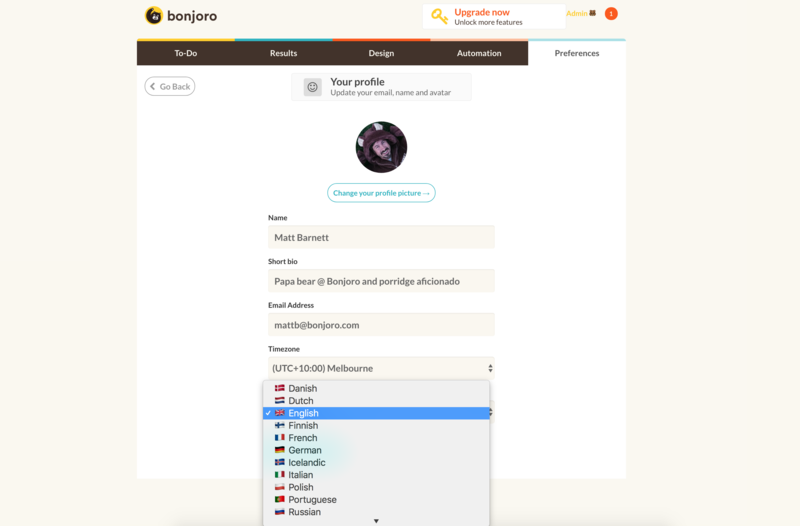 We have translated Bonjoro into Danish, Dutch, English, French, Italian, Polish, Russian, Portuguese, and German. If you need another language localized for Bonjoro just shoot us an email, [email protected] We will get that working for you!